Keep your console and game discs clean and handle them properly to extend their use. If the Xbox 360 console requires service or repair, contact Xbox Support to arrange to have Microsoft service the Xbox 360 console. Unplug the console before cleaning. 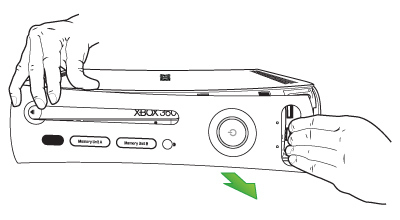 Keep the surface under the Xbox 360 console clean by occasionally wiping it with a dry cloth. Keep objects from falling into the ventilation openings. 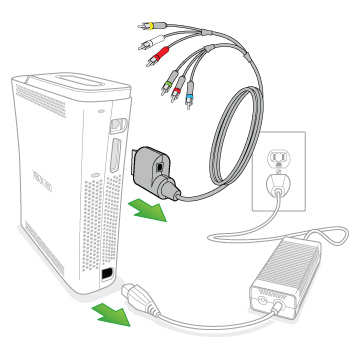 Unplug the Xbox 360 console from the power outlet. Clean the surface of the Xbox 360 console only. Make sure that no objects are inserted into the ventilation openings. Note Do not use laser lens cleaners or similar products. Microsoft has not determined the effect of these products on the Xbox 360 console. 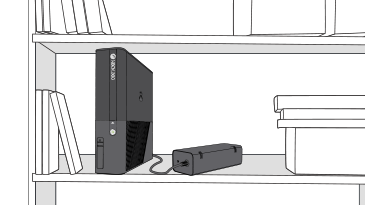 We recommend that you do not use any kind of cleaner when you clean the Xbox 360 console. 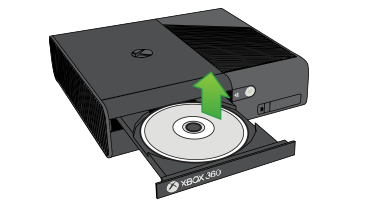 To prevent a disc from being scratched, always remove the disc from the console before moving the console. Do not move the console during game play, while watching a DVD, or when a disc is spinning. Use only an approved CD marker to label game discs. Do not use tape or stickers. 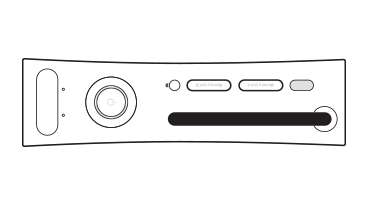 The original Xbox 360 console featured a removable faceplate. Here you will find some tips for removing the faceplate. In certain instances, the serial number sticker that is in the USB cavity may stick to the USB port cover. If this problem occurs, remove the faceplate and press the sticker to make sure that it is flush with the console. In certain instances, part of the faceplate may be broken. This problem can occur if the console is mishandled or if the faceplate is faulty. Parts that are sometimes susceptible to damage include the memory unit-slot cover or the clips on back of the console. Be careful when you remove or reattach the faceplate. If you are concerned that the faceplate on your Xbox 360 console is damaged, contact Xbox Support. ¿Quieres contactar con el Soporte técnico con referencia al problema "Care for your console and game discs" acerca del que estabas leyendo o con referencia a otro problema?